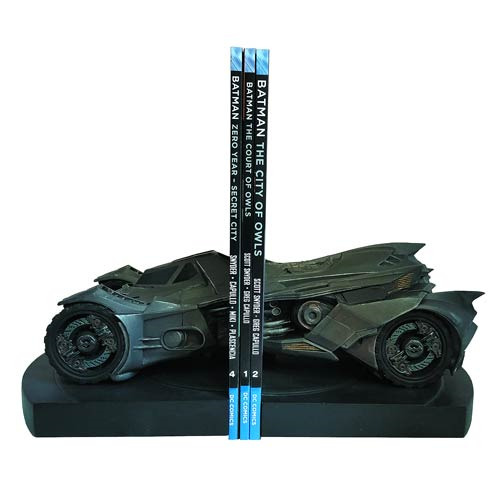 Celebrate the finale of the Arkham series of videogames with these Batman: Arkham Knight Batmobile Statue Bookends! Designed to protect your reading material, these highly detailed, resin-cast bookends are sure to impress even the wackiest inmate in your own little Arkham Asylum! Limited edition of 1,000 pieces. The Batman: Arkham Knight Batmobile Statue Bookends measure approximately 13 5/8-inches long x 8-inches wide x 5 3/4-inches tall. Ages 13 and up.